There are over 100 million websites ending in .com. But new options for website names are becoming available. Not only is there .com and .gov .edu, but now .ninja has been added. Also .bike, .plumbing and .cool. 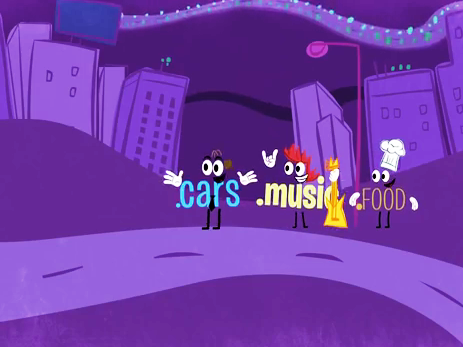 In all, over 1,000 new top-level domains, as they are called, will be added. Today on the show, what happens when you just create a whole bunch of real estate out of nowhere? We meet some of the new land barons with big dreams. And a guy who worries it's just going to be a big mess. Here's a list of new top-level domains that currently exist. Here's a list of top-level domains that have been applied for. Namestat and nTLDStats are websites that track how well each one is doing — how many sites have registered with each. Music: Trolley Snatcha's "Make My Whole World." Find us: Twitter/ Facebook/ Spotify/ Tumblr. Download the Planet Money iPhone App.